Her Royal Highness Princess Maja von Hohenzollern is the epitome of beauty and brains. She is not like any other princess. Along with being an exemplary interior designer, she is also utilizing all the power vested in her to make this planet a better place for not just human beings but all the living being. Take a sneak-peek into her world of kindness and creativity. What every girl dreams to be is a Princess: the tiara and gowns, the glamor and glory and the whole nine yards! Today we have HRH Princess Maja von Hohenzollern with us, who is everything that a girl ever wants to be and much more. She is a good Samaritan and leaves no stone unturned when she takes up a cause. Her actions speak louder than words! HRH Princess Maja von Hohenzollern is today the internationally best-known member of the Royal Family of Hohenzollern. 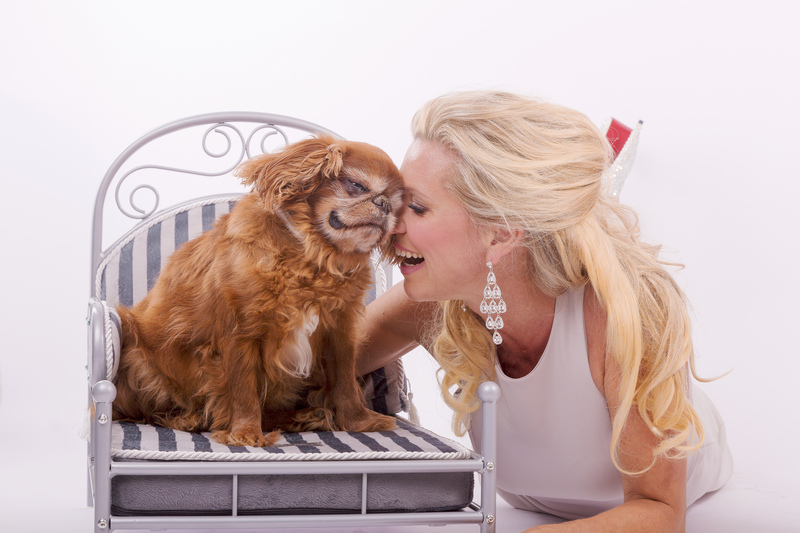 In addition to being a committed animal welfare activist, HRH Princess Maja von Hohenzollern is a modern designer for furniture, home decoration, pet-, children- and lifestyle- products.She is an Ambassador for animal welfare and a PETA supporter. She is decorated with innumerable honors and awards. Today we have the privilege to witness her world of kindness and how she is working towards making this world a better place for all the living beings. Your Royal Highness, You’ve have been known for your environmental activism. Please shed some light on what drew your attention to this. To produce 1 kg of meat, you need about 20,000 liters of water, 16 kg of grain and you cause as much CO2 emissions as a 250 km trip on the motorway. If you were to give these resources of water and grain directly to people instead of wasting it on mass livestock farming and meat production, you could feed so many people that there would be no more famine in the world. The rearing of animals in animal factories is cruel and an ecological catastrophe. This is what led me to be an environmental activist. I would like to behave responsibly towards animals, people and nature. That’s what our future generations also deserve, that’s why I live vegan. What according to you are some small steps that people could take to improve their relationship with the environment? There are currently about 7.6 billion people in the world and forecasts predict that there will be about 9.8 billion people in the world by 2050. The world’s natural resources and farmland will fall short at some point of time. We can no longer afford to waste about 67% of the grain harvest as animal food in mass livestock farming for meat production.So everyone can start by not eating meat every day, but by eating a vegan or vegetarian meal. Eat consciously and consider where the food comes from, what you consume. Every small step counts. Tell us a little about your recent work. Does it touch on any of the world issues? Your style has been described as quietly elegant. Tell us more about your collections. Royal collection is a very tasteful and exquisite bath collection. Please introduce us to the aesthetics of Royal Collection from your perspective. I just presented my new bathroom furniture “ROYAL BATH” Collection. It consists of the series “Diamond” line and “Urban Loft” line. It is addressed to people who value modern and stylish design furniture, equipped with the most modern comforts. “Diamond Line” is a truly classy design line! “Urban-Loft” combines a puristic, royal design reminiscent of the cool lifestyle in lofts found in modern cities. High-quality extracts with soft-close technology as well as surface mirrors with emotion lighting lend luxury to the bathroom series. I?¦ve been exploring for a little for any high quality articles or blog posts on this sort of space . Exploring in Yahoo I at last stumbled upon this website. Studying this information So i am satisfied to exhibit that I have a very excellent uncanny feeling I found out exactly what I needed. I such a lot certainly will make certain to do not overlook this website and provides it a glance on a relentless basis. Very helpful and best information Thanks For sharing. a blog that’s both equally educative and entertaining, and let me tell you, you’ve hit the nail on the head. subject, it might not be a taboo matter but generally people don’t talk about these topics.